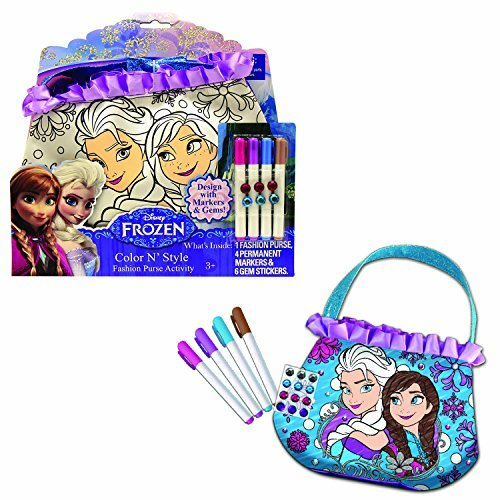 This is a darling gift set with four awesome Frozen themed items that little fans of the Disney hit will love! It's an easy gift with multiple items for maximum fun! 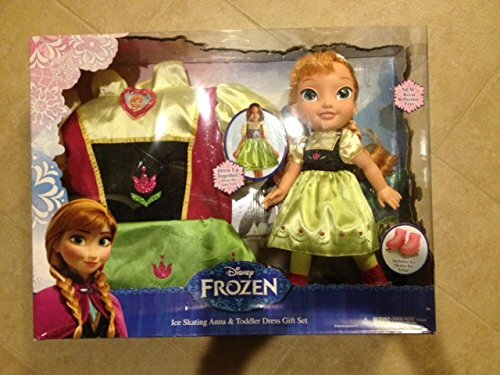 With this purchase you'll get four small gifts to delight your little Frozen fan. 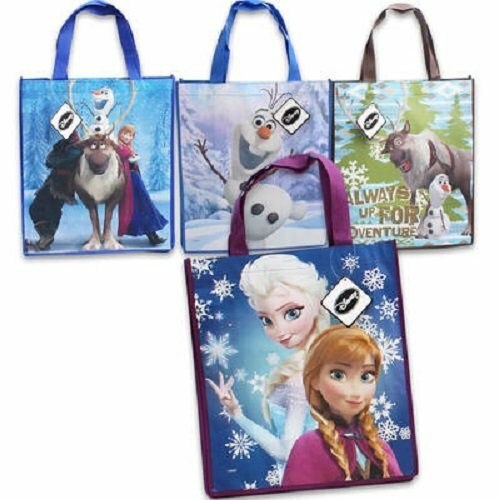 The package comes with a pink handbag that features a full graphic with the Arendelle sisters Anna and Elsa along with their playmate Olaf. 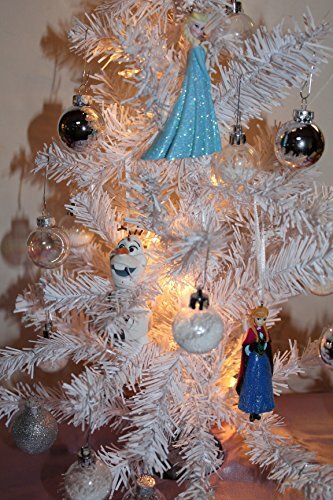 The set also comes with a set of two small plush dolls of Elsa and Anna. The dolls fit nicely in the handbag. You'll also get a Frozen themed wristwatch with a digital time display. 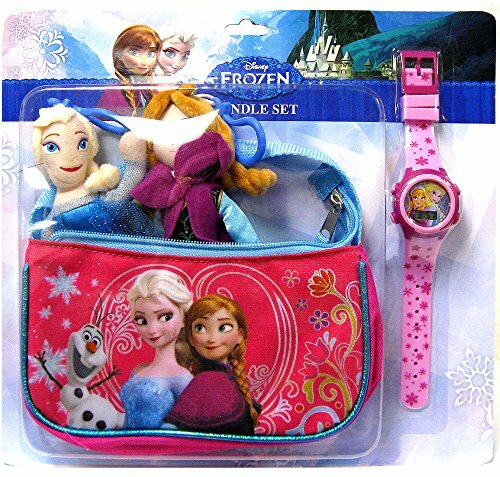 The pink watch features Anna and Elsa on the face and pretty dark pink snowflakes on the strap.